You may be reading this wondering if your stomach problems could be caused by dysautonomia. And the simple answer to that question is yes, dysautonomia can cause many gastrointestinal problems, including GERD, nausea, gastroparesis, constipation, diarrhea, and incontinence, among others. Dysautonomia is an umbrella term for syndromes in which the autonomic nervous system no longer responds appropriately to normal bodily functions. The most classic case is in POTS, Postural Orthostatic Tachycardia Syndrome. In this form of dysautonomia, the body no longer responds to standing correctly physiologically. In every person when they stand, blood pools towards the feet due to gravity, but their autonomic nervous systems will make changes to the body to maintain a normal blood flow despite gravity. 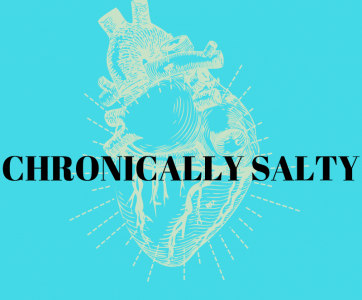 With POTS, these changes do not happen adequately and result in many symptoms, such as a high heart rate when standing as a backup measure to help bring blood back to the heart against gravity. This list is just a brief glimpse of the many ways the autonomic nervous system can affect the body. The autonomic nervous system does more than just regulate heart rate and breathing. It is a system that is vital for your survival, because it is the system that regulates everything your body unconsciously does to work effectively. Note: In most cases, a dysautonomia diagnosis is not a life-shortening diagnosis. Do not start panicking while reading the snippet above. So if you had POTS, your greatest problems would likely be related to any upright activity. However, that doesn’t mean there cannot be any crossover into other systems because of how ubiquitous the autonomic nervous system is in the body. If you have dysautonomia, many motility problems can be explained. For example, if your autonomic nervous system fires off signals too slowly or at the wrong times for digestion, you may have gastroparesis like symptoms. If you have a more adrenergic or, adrenaline-filled type, perhaps your brain is tricked into thinking you are constantly about to face some nasty bear in the wilderness and fires too many signals, resulting in diarrhea or nausea. Or maybe you even alternate between the two and never know what is really happening to your stomach. Eating small, frequent meals, versus large meals three times a day. When you eat large meals, blood is diverted to your GI to help you digest your food, often resulting in lowering your blood pressure. This is called post-prandial hypotension. Eating smaller meals also makes it easier for your system to digest the food, which lessens symptoms of gastroparesis. Avoid laying completely flat after eating. If you have GI problems like GERD, then laying flat after eating can cause the acid to reflux back up into your esophagus. Reduce stress. You likely already have too much adrenaline in your body and less is more in this situation. Stress can start a GI flare for conditions such as IBS-D. Think about your diet. If you have GI problems related to dysautonomia, your GI system is probably more sensitive to the average persons. Think about foods that might upset your system more easily, i.e. spicy and oily foods, food intolerances, caffeine, carbonation, and sugar. Avoid exercising right after a main meal. If your stomach is already sensitive, working out after a larger meal might further irritate the system. Talk to your doctor about treating the symptoms of the GI problems. Some medications can be helpful.